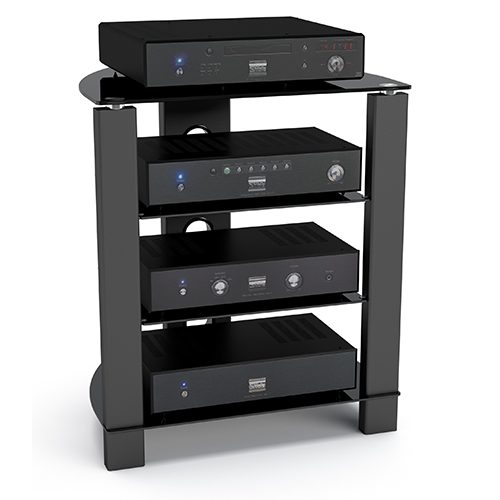 House your Hi-Fi on a stylish and practical rack, with the TTAP Vision HiFi. Finished in classic black with black glass shelves, the TTAP Vision HiFi makes the perfect match for your Hi-Fi components. For an even cleaner look, the Vision HiFi features a cable management system for hiding away all those untidy cables. Featuring tempered glass shelves and wide legs, the Vision rack is sturdy enough to cope with the demands of a full Hi-Fi system. Four shelves provide space for a turntable, CD player, streamer and amp – all on their own shelves for complete isolation. Deeper and wider than the other shelves, the top shelf is ideal for housing a turntable. 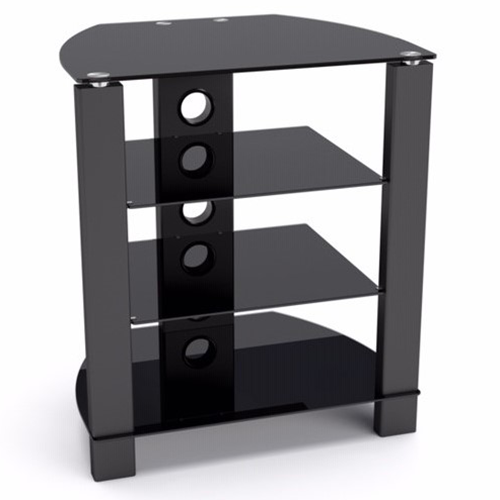 Often larger than other Hi-Fi components, this extra-large shelf will easily support a wide range of decks. 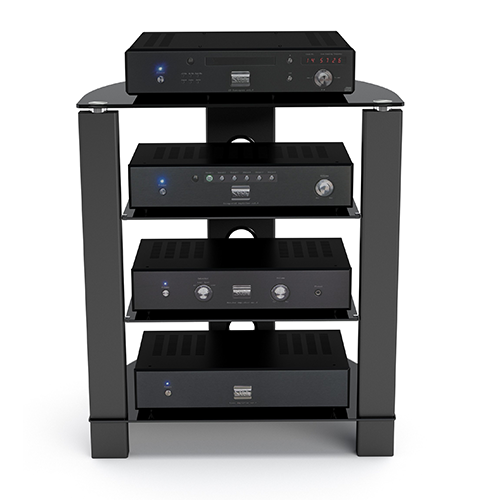 Stack it all, in style, with the TTAP Vision HiFi.